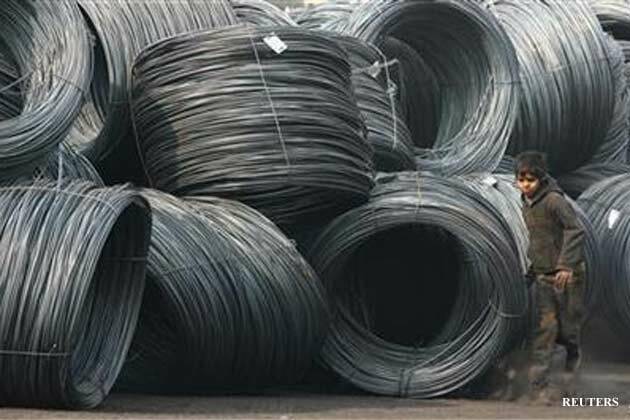 NEW DELHI: The World Trade Organization’s dispute settlement body will take up on Monday India’s request for a panel to settle a dispute over alleged wrongful penal duties imposed on Indian steel by the US. The duties have made steel exports by leading steel manufactureres including Essar, Jindal and Sail uncompetitive in the US. “We expect the US to oppose our request for a panel. But we will stick to our demand and ensure that a panel gets established as soon as possible,” a commerce department official told ET. India’s steel producers like Essar, Tata, Sail and Jindal have not been able to export hot-rolled steel products to the US for the past few years due to levy of countervailing duty as high as 500% in some cases by the US. New Delhi says that the penal duties imposed on the ground that the Indian government subsidises the steel companies were unjustified. “We have given a number of reasons clarifying why the US countervailing measures on Indian steel were not consistent with the WTO agreement on subsidies and countervailing measures, but have not received a favourable response” the official said. India has also objected to use of inappropriate benchmarks for calculation of subsidy and treating the mining rights for iron ore and coal obtained by exporters of steel products as subsidies. These issues were explained by New Delhi in details during the official level consultations with the US prior to the request for establishment of a panel. “During the consultations, the US did not respond to any issue raised by India apparently because it wanted to defend its measures only at the panel stage. We, therefore, had no alternative other than asking for a panel,” the official said. The US, too, recently established a panel against India’s restrictions on import of poultry products. The panel of judges that would hear arguments of both parties and give its verdict is yet to be finalised as India was not satisfied with the initial names suggested by the DSB and has called for fresh names.